Toppled Malaysian leader Najib Razak returned to court for the second day of his high-profile corruption trial on Monday. Since then, Najib has been arrested and hit with dozens of charges over the scandal. 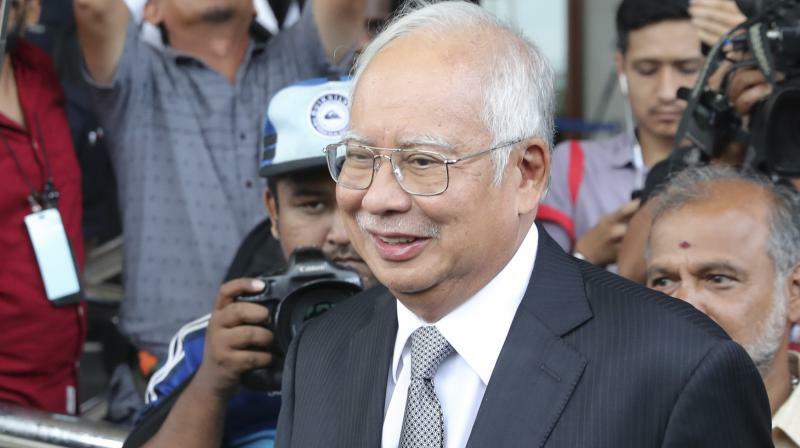 The ex-leader's highly-anticipated trial began on April 3, with Najib denying seven charges related to the theft of 42 million ringgit (USD 10.2 million) from SRC International, a former 1MDB unit. It is just a fraction of the money Najib is accused of stealing -- he has also been charged in a separate case over the alleged transfer of USD 681 million to his bank account. The main witness called Monday was Azizul Adzani Abdul Ghafar, an investigating officer from the central bank, who was part of a team that raided the branch of a local lender, AmBank. The officers seized documents related to accounts held by Najib at the bank, accounts belonging to SRC International, and accounts held by another company. The stolen money from SRC was allegedly sent to Najib's accounts at AmBank. Earlier Najib's defence team cross-examined Companies Commission of Malaysia official Muhamad Akmaluddin Abdullah, who had testified when the trial opened, on matters related to SRC's records. After the trial was adjourned for the day, Najib's chief lawyer Muhammad Shafee Abdullah said the prosecution would have to prove the ex-leader knew the money flows were illicit to convict him. "The prosecution need to show that he is complicit, that he is part of the conspiracy." Najib has consistently denied any wrongdoing over the looting of 1MDB. Prime Minister Mahathir Mohamad, who came out of retirement to lead an alliance to a shock election victory against Najib's government last year, has pledged to bring Najib to justice and recoup the huge sums of cash stolen from 1MDB.